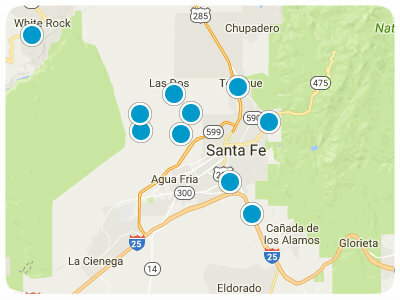 Connecting Albuquerque to Santa Fe, Highway 14 in New Mexico is a convenient road for people traveling between cities. However, it also provides excellent real estate opportunities. Homes for sale in the Highway 14 corridor, particularly its section known as Turquoise Trail, have a lot to offer homebuyers. Available properties in the Turquoise Trail area include single-family homes and estates, and residential land plots are also available. The homes encompass a wide variety of styles and sizes, so you are sure to find something that suits your unique preferences and your budget. Furthermore, equestrian properties are also available, and you may enjoy horseback riding on the trails in the Galisteo Basin Preserve or in Cerrillos Hills Park. Horseback riding is only one example of how you may choose to spend your free time when you are a resident of the Highway 14 area. If you like spending time outdoors, then you will appreciate the stunning natural scenery of the area. There will always be something new for you to discover in one of the many pleasant parks and natural areas in the area. Hiking, biking, and picnic lunches can become part of your everyday life when you live in this area. When you are ready for a more metropolitan adventure, simply travel the Turquoise Trail to Santa Fe or Albuquerque. Santa Fe is known as an arts hub, and you will find ample opportunities to appreciate artwork, music, live performances, and much more. Albuquerque is New Mexico’s largest city, and it is full of interesting museums that will help you learn more about the area’s history and cultural heritage. No matter where your adventures lead you, you will be happy when you think of your fabulous single-family home in the Highway 14 and Turquoise Trail area awaiting your return. A convenient location, open space, natural scenery, and fantastic residences are only a small sampling of what you can expect from this area. Highway 14 real estate options are ready to pique your interest. If you are ready for more information regarding Turquoise Trail single-family homes, estates, and land plots, please do not hesitate to contact us.